Welcome to Music Friday when we bring you hit songs with jewelry, gemstones or precious metals in the lyrics or title. Today’s featured tune is plucked from the #6 spot on the current Billboard Top 40 Adult Pop Songs list. It’s “Love Runs Out” by OneRepublic. “Love Runs Out” is the fifth single released from OneRepublic’s wildly successful third studio album, Native. The album made its debut in 2013 and has been on the Billboard 200 Album chart for 77 weeks, having peaked at #4. But there was a snag. The band was having trouble perfecting the chorus and the song had to be put on hold. Tedder told Capitol FM, "The very short back story on the song was when we were working on Native I originally thought [“Love Runs Out”] was going to be the first. I wanted it to be the first single, a few of us in the band did, but I could not finish the chorus. And you can't have a song without a chorus." “Love Runs Out” will get a boost when it’s featured on the soundtrack for the video game "NBA 2K15." At the end of this post you can check out the gorgeous official video for OneRepublic’s “Love Runs Out.” The lyrics are below if you’d like to sing along. Written by Ryan Tedder, Brent Kutzle, Drew Brown, Zach Filkins and Eddie Fisher. Performed by OneRepublic. I'll be the bright and black that's making you run. 'Cause we'll work it out, yeah we'll work it out. 'Til the love runs out, 'til the love runs out. I'll be your ghost, your game, your stadium. I'll be your 50,000 clapping like one. 'Cause I worked it out, yeah I worked it out. I got my mind made up and I can't let go. I'm killing every second 'til it saves my soul. There's a maniac out in front of me. Got an angel on my shoulder, and Mephistopheles. My momma raised me good, momma raised me right. Momma said, "Do what you want, say prayers at night,"
And I'm saying them, cause I'm so devout. 'Til the love runs out, 'til the love runs out, yeah. Ooh, we all want the same thing. Ooh, we all run for something. 'Til the love runs out. Researchers in Moscow have developed a new method of synthesizing a material that far exceeds the hardness of a diamond. Ultrahard fullerite, which is composed of spherical molecules made of 60 carbon atoms, is so extraordinary that it has no place on the Mohs scale of mineral hardness. For hundreds of years, diamonds have been celebrated as the hardest substance known to man. 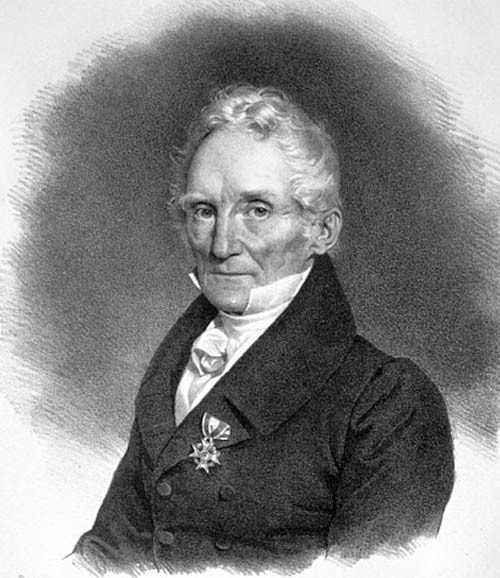 In fact, when German geologist Frederich Mohs designed his hardness scale in 1812, diamond was positioned at the top with the maximum rating of 10. It was believed that the only thing that could scratch a diamond was another diamond. Now, 200 years later, scientific breakthroughs are changing the way we look at ultrahard materials. 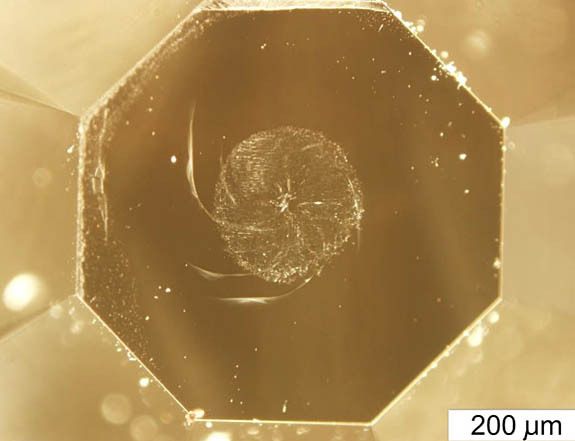 When subjected to the Vickers hardness test (which basically analyzes what materials are hard enough to dent others), fullerite was able to leave an impression in the surface of a diamond. While natural diamond has a hardness value of nearly 150 GPa (gigapascals), fullerite boasts values that range from 150 to 300 GPa, according to sciencedaily.com. So, if fullerite is now the world's hardest material, might it usurp diamond as the most coveted bridal gemstone of future generations? The short answer is “unlikely.” There is no indication that fullerite could be faceted like a diamond or that its optical properties — such as its refractive index or dispersion — would yield the brilliance of a diamond. Researchers from the Technological Institute for Superhard and Novel Carbon Materials (TISNCM) in the town of Troitsk, Russia, see fullerite as a valuable material for industrial applications, primary in the field of metals and other materials processing. 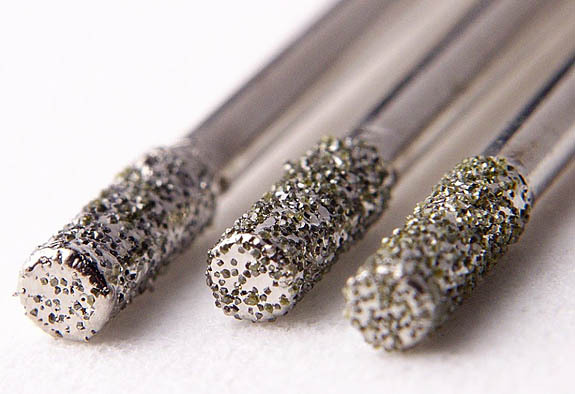 Currently, industrial-grade diamonds can be used to polish, cut or wear away almost any material. They are vulnerable and show greater wear, however, when working on ferrous metals at high temperature because carbon is soluble in iron. Fullerite promises to be a viable alternative. Very simply stated, the harder a tool is, the longer it will work. 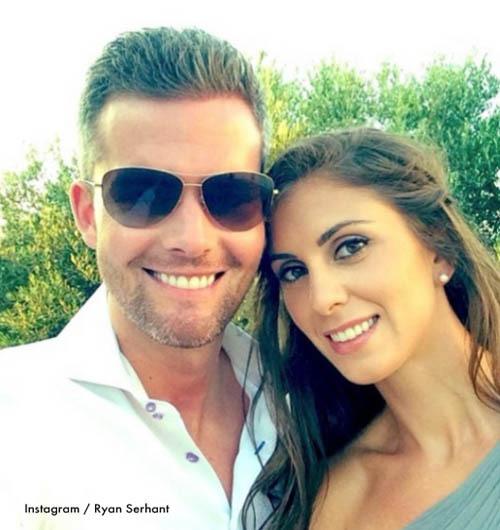 New York City’s bustling Times Square was eerily silent on Sunday morning as reality star/real estate agent Ryan Serhant got down on one knee to propose to girlfriend Emilia Bechrakis with a huge radiant-cut diamond set on a plain white-metal band. With the help of the Mayor’s office and 50 NYPD officers, the hunky lead character of Bravo’s primetime Million Dollar Listing New York used his celebrity status to effectively shut down one of the busiest parts of the city — from 7 a.m. to 8 a.m. — to make the occasion truly memorable. "No one has ever done something like this. But I'm only going to propose once in my life, so I wanted to make sure that I did something special," Serhant told E! News. 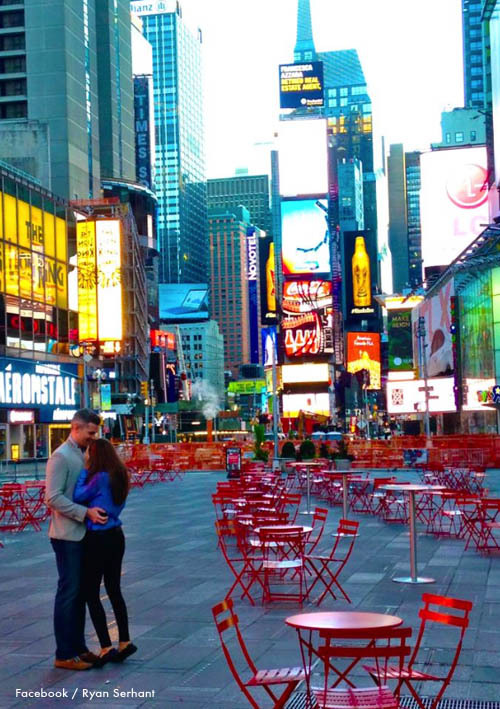 On Monday, Serhant posted a photo of the Times Square proposal to his Facebook page along with this explanation: “Yesterday morning I shut down Times Square and a little boy from Texas (me) proposed to a little girl from Greece (Emilia) in this crazy city called New York. I need to say thank you for the help of 50 NYPD officers, the Mayor's office, and the Times Square Alliance. We had the heart of this city completely to ourselves. 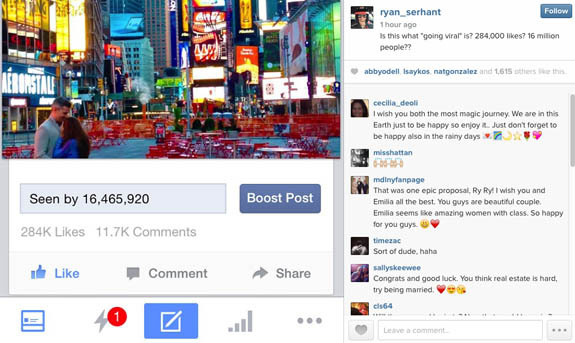 Like I've always said... GO BIG OR GO HOME.” The post was punctuated by a diamond icon. Serhant seemed to impressed by the power of Facebook and social media when he commented later, "Is this what going viral is? 284,000 likes? 16 million people??" 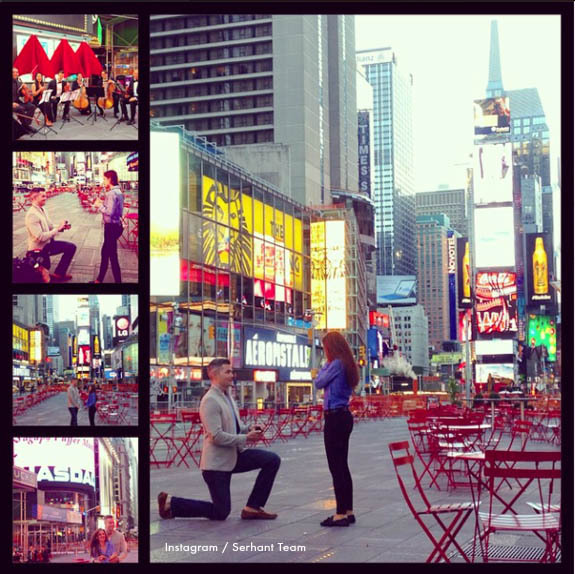 The 29-year-old Bechrakis, who is an attorney, was floored by the over-the-top proposal. She told E! News, “I was not expecting this at all. He's really outdone himself!" The 30-year-old, 6’3” native of Houston and former soap actor has made a name for himself as one of New York City's top real estate brokers. Million Dollar Listing New York chronicles the adventures of Serhant and two other real estate agents as they strive to sell some of the priciest properties in the five boroughs. 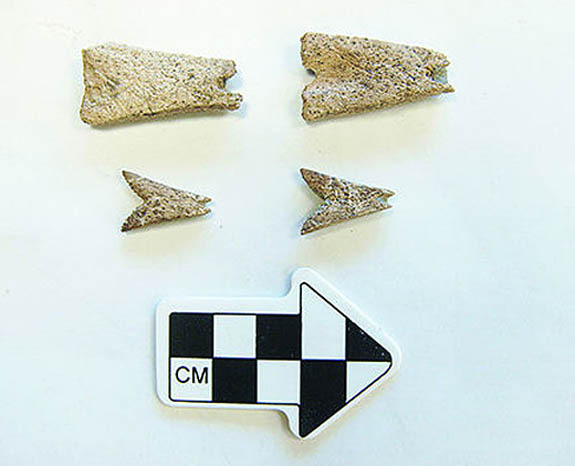 Two matching sets of tail-shaped bone earrings carved by our ancient ancestors are the oldest examples of jewelry adornments ever found in North America, according to a team of Alaskan archaeologists. 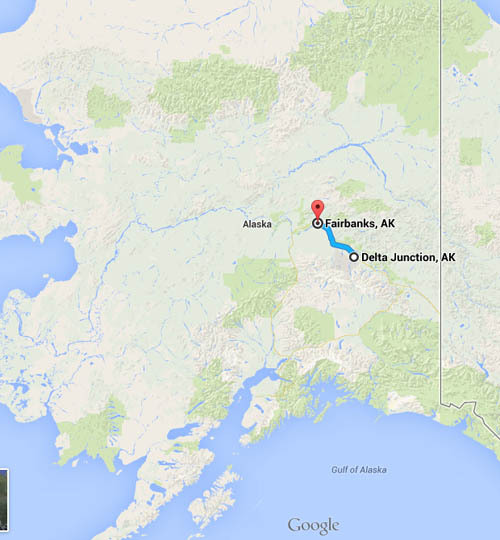 The items, which were unearthed at the Mead site between Fairbanks and Delta Junction, AK, offer a rare glimpse at the importance of self-adornment in ancient cultures and reveal the skills and artistry employed to put them together. The artifacts are approximately 12,000 years old, according to Barbara Crass, director of Shaw Creek Archaeological Research. “Outside of a few beads there’s nothing else that age and artistic in the New World or at least North America,” she told newsminer.com. Each earring of the larger set measures approximately 4mm wide, while the smaller earrings are about half that size. While the materials and designs may seem unsophisticated, Crass contends they were advanced for their time period when primitive man was first developing pottery and ground stone tools. Working with researchers from the University of Alaska Fairbanks, the Shaw Creek team has been unearthing artifacts from the Mead site since 2009. The earrings were actually found in 2013, but Crass decided to hold off on the announcement for a year in the hope of finding additional jewelry items in 2014. When they didn’t materialize, the team opted to go public with what they had, reported newsminer.com. 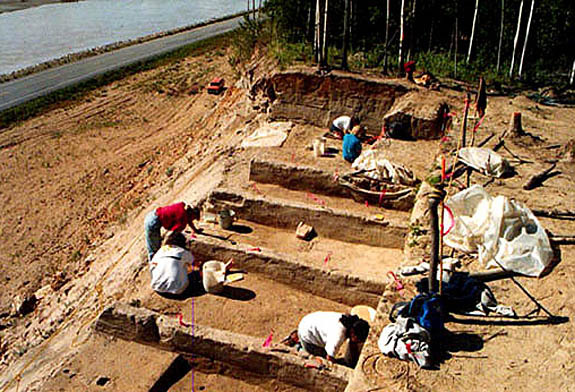 According to the Alaska Department of Natural Resources, Office of History & Archaeology, the Mead site is one of three archaeological sites in Alaska that have yielded data to show that a broad-based hunting and foraging economy was practiced in this area at the end of the last ice age. These sites contain artifacts directly associated with extinct mammals, such as wapiti, bison and mammoth, and provide new clues about human adaptation to environmental change. 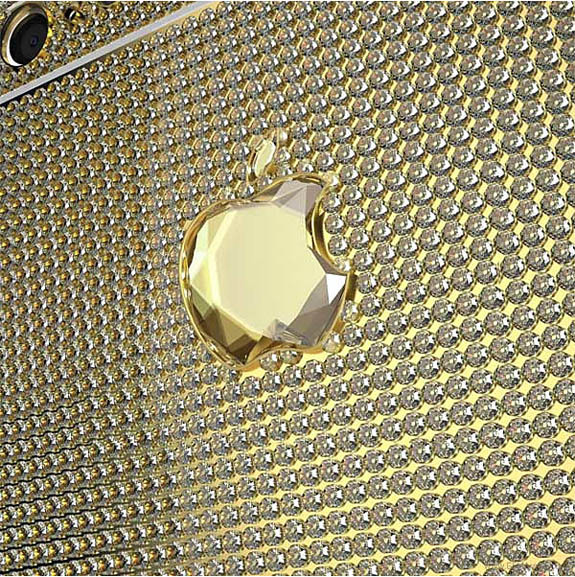 Hot on the heels of Apple’s introduction of the new iPhone 6, London designer Alexander Amosu has introduced an 18-karat gold version glittering with 6,127 brilliant-cut accent diamonds and punctuated by a 51.29-carat fancy-cut diamond in the shape of the iconic Apple logo. 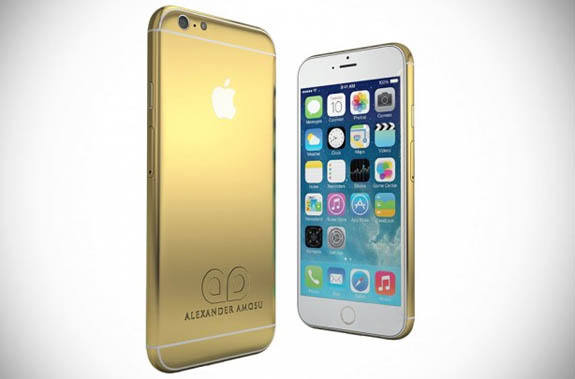 The price tag for what’s being touted as the world’s most expensive iPhone 6 is $2.76 million. Named the “Amosu Call of Diamond iPhone 6,” the device takes more than two months to complete because every one of the VVS1-clarity diamonds is painstakingly set by hand, according to Amosu. The diamonds completely cover the phone back, as well as all four side bezels. The 18-karat gold case weighs about 85 grams (3 ounces) and the back panel may be engraved with the name of the customer or the name of a business. 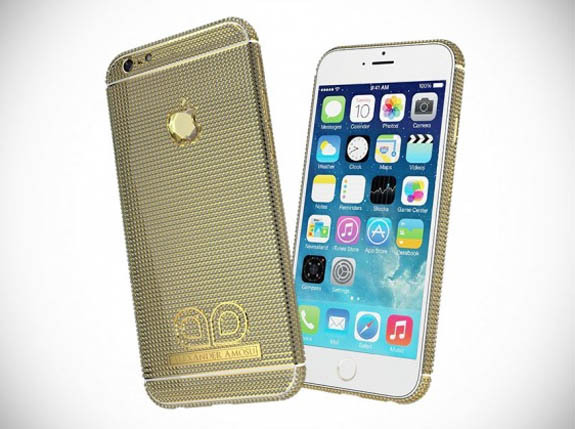 For those looking for a more modestly priced version of Amosu’s blingy iPhone 6, the designer offers a 24-karat yellow or rose gold-plated version (with no diamonds) for about $3,900. Last Tuesday, Apple rocked the world with its introductions of the iPhone 6, Apple Watch and a new mobile payment system called Apple Pay. Amosu is hardly a newcomer to the world of luxury tech. He previously made headlines with his diamond-encrusted iPhone 2, which was priced at $144,000, and the world’s most expensive Blackberry handset, which sold for $195,000, according to the Mirror.